Another proud moment for JIMS Rohini!! 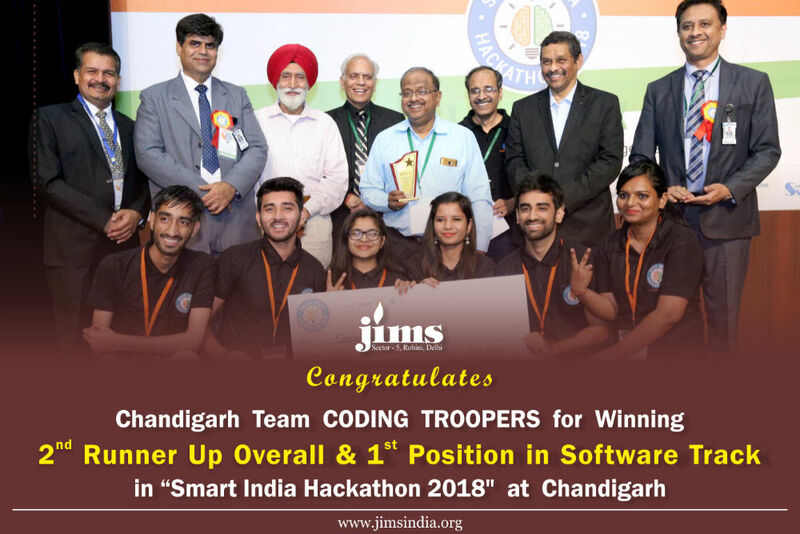 JIMS team comprising of Diksha SinglaAkash Bharadwaj, Akshay Bhatia, Amit Barwal, Prachi Sharma and Reena Garg (all from MCA 2nd Semester) lead by the mentor Mr Sanjive Saxena, bagged 2nd Runners-up overall and 1st position in Software track at Smart India Hackathon organized by AICTE, Inter Institutional Inclusive Center (I4C) and Persistent Systems on 30th and 31st March 2018 at Nodal center of the Ministry of Agriculture and Farmers Welfare at Chandigarh. JIMS Congratulates all the winners and wish them Good Luck.